George Osborne is appointed editor of the London Evening Standard, and ITV gives horse-racing fans the chance watch the Cheltenham Festival in VR. He’s got no journalistic experience apart from editing an Oxford student magazine, he’s got about five other jobs and a minefield of potential conflicts of interest, but no-one could say the appointment of George Osborne as editor of the London Evening Standard is boring. It certainly shows the enduring power of newspaper brands. 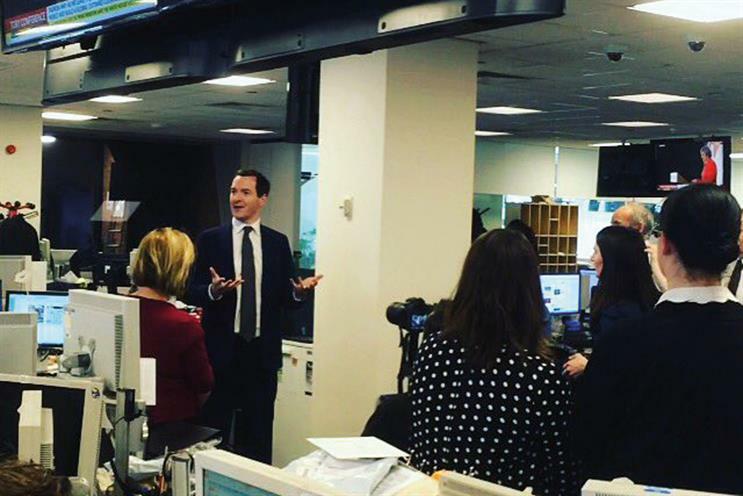 Osborne met the ESI Media ad sales team as well as the journalists on the day his job was announced. Whatever the controversies surrounding Osborne’s suitability as editor, the draw of the former chancellor should be useful when it comes to fixing meetings with advertisers. ITV gave horse-racing fans the chance to feel as though they were part of the Cheltenham Festival with a daily virtual-reality highlights package. VR City and Goodstuff Communications helped the broadcaster "place racing at the heart of mainstream popular culture" by showing footage that rarely appears on TV, such as of the jockeys’ weighing room. ITV last year picked up the rights to show horse-racing from Channel 4 in a four-year deal that started this January. NME faced a backlash after featuring grime artist Stormzy on the front cover of an issue exploring depression, without his permission. Stormzy took to Twitter to hit out at the Time Inc free title, which responded by apologising and explaining, "we’re a free magazine and were not trying to shift copies, just talk about something important". Even if you take NME’s comment at face value, it’s easy to see why the rapper felt exploited. Of course, the magazine should be lauded for broaching such an important subject. A shame, then, that by acting insensitively, it allowed the message to be overshadowed.